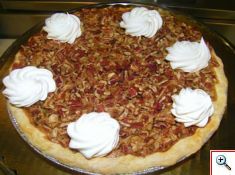 e have been making cookies and pies here at Baked To Perfection since the beginning but have recently added this dedicated web page to show our talents. All of cookies and pies are made from scratch using only the best ingredients. At our restaurant, cookies are made fresh everyday and displayed in our case for you to select your favorite. At any 1 time in our restaurant, we bake and have available 5 of the different kinds of cookies that we make. From time to time, we change up and bake a few of the other kinds. Our customers have told us through time those they like the best and we try to keep those on hand at all times. You can enjoy 1 or 2 with your meal, or take a dozen home to snack on while watching TV or to share with your friends, neighbors and/or family at your next party. 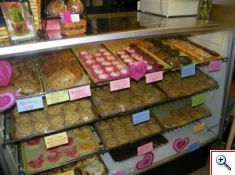 Our cookies are priced at 50 cents each or by the dozen at $5.00. We also make “Hand Decorated” cookies but those are special order only and would be priced by the order. All of our pies as I mentioned above are from scratch. No short cuts here. 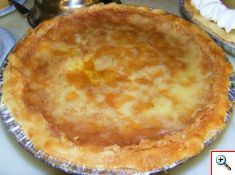 We make pies and cheesecakes “most” of the time at our restaurant and have them avaible by the slice. I say “most” of the time because we like to make seasonal fruit pies and those fruits are not always available. Since we are so particular with our ingredients, getting them is sometimes hard to accomplish and we are not going to go half way and cut corners. You can special order as many pies as you might need. We just need to know several days ahead of time and if the seasonal ingredients are available. 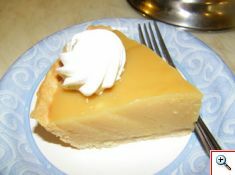 We make a variety of home made from scratch pastries. We have lucious connamon rolls – just ask anyone who has had one!! Cinnamon rolls are priced at $2.50 each. With pecans they are $2.75 each. Oh yes we have brownies – rather large ones if I do say so myself!! Our home made scratch brownies with chocolate icing are $1.25 each. We have pecan topped brownies for $1.50 each. Whatever your needs for cookies, pies or pastries, we are your source. Delicious, fresh and always made from scratch. And we will be happy to make you a big batch of any of these for your party or family get-together.